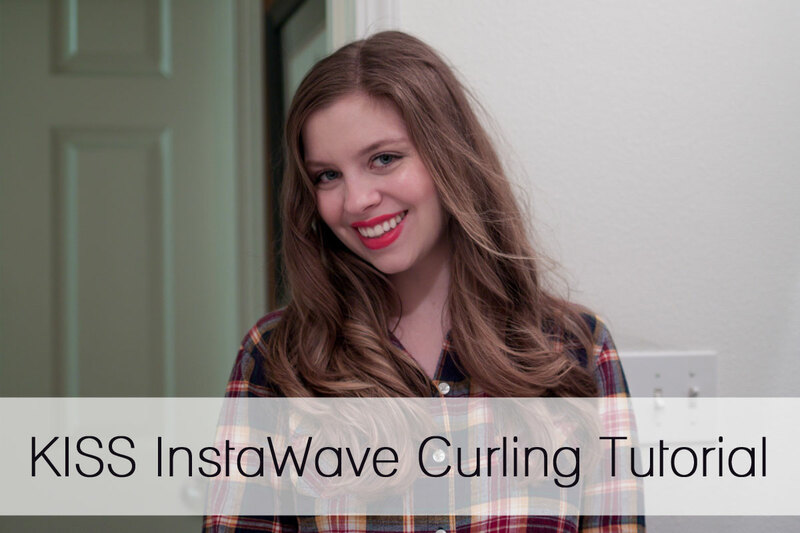 I had the opportunity to try out the new KISS InstaWave Curling Wand through a promotion with BrandBacker. Being curling inept, I thought this device would be perfect for me. Anyways, I thought I’d share my review and tutorial in video format, so you could see how the device actually works. This really is pretty cool! I love how you don’t need to be exact at all setting the hair up before it starts curling and it just puts everything into place for you. And I totally agree, the big curls like you have here are so glamourous. Yeah seriously, I have no time or patience to separate each section perfectly like they do in the salon. :P Occasionally I do get a little overzealous and get too much in, but it doesn’t really screw it up, you just have to separate the hair and try again. well you have amazing hair and that’s not fair. lol! i have seen a ton of these posts and i really want one.. but i dont ‘need’ it and it’s kinda expensive, boo! Love your tutorial, I really love the InstaWave!!! I haven’t used my regular curling iron since they sent it over! It’s so awesome, I haven’t looked for my clipless wand since! its like… fantastic, huh?? i was so amazed when i used it for the first time! Seriously! So much better than I expected. Totally know what you mean… the last time I tried to use my clipless wand I burnt myself twice. With this, I’ve used it about 6 times and have yet to burn myself. So much better! Very pretty! I have the Conair Curl Secret (which is also an automatic curler) and I was seriously amazed the first time I used it, lol. The future is here!